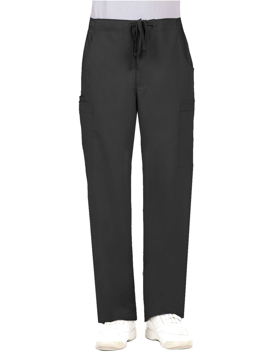 This tee features an athletic fit, front seam detail and long sleeves. Center back length: 29". 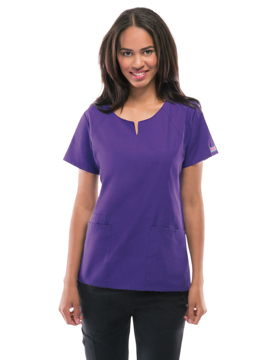 This round neck top features a hidden Velcro security pocket. 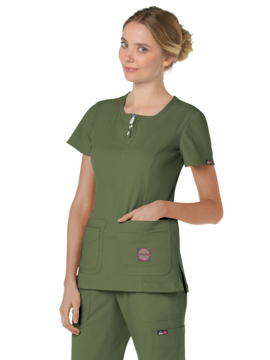 Front neckline has center stitch detail, curved front neck yokes, back elastic, a total of four pockets, and side vents. Center back length: 26". 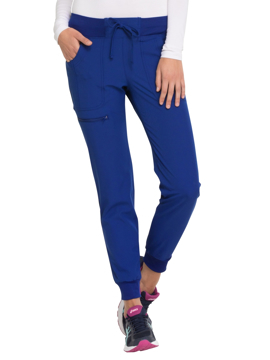 This colorblock crew neck top features front slash pockets, one pocket with inside cable-routing grommet, double-needle topstitching, contrast raglan sleeves, and coverstitch detail. Center back length: 30". 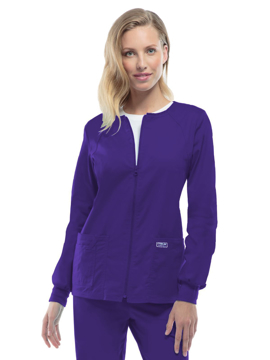 Contemporary fit lab coat features princess seams for added shape, snap detailing at the waist, two large patch pockets for accessory storage, multi-needle topstitching and a back belt. Center back length: 28". 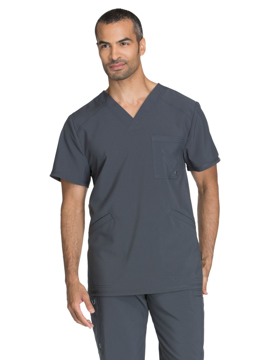 Contemporary fit top features multi-needle contrast topstitching,front yoke seaming for a sporty look, a chest pocket with a reinforced pen slot, a cell phone pocket, multi-sectional utility slots, two roomy patch pockets with an ID bungee loop and side vents. 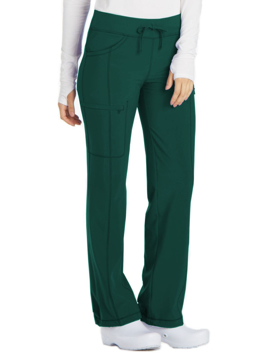 Center back length: 24½". 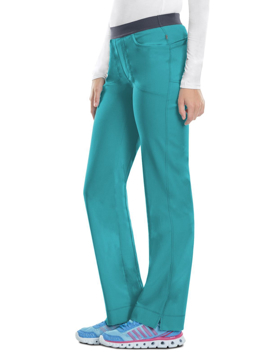 This classic mock wrap top features breathable moisture-wicking fabric that is lightweight and features easy wash & wear performance stretch, bungee loop, two front pockets, stretch rib trim on sides, zipper detail at side of waist, and side slits. Center back length: 26". 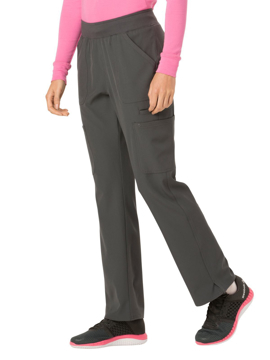 This stylish top features a double-zipper at neck, lightweight moisture-wicking fabric, four front pockets, stretch rib trim on sides, and side slits. Center back length: 27".